Argo Group took full advantage of Insurance Careers Month to explain why this sector is right for people who want exciting and challenging careers. February 2017 – Insurance Careers Month – saw Argo Group make powerful pitches to millennials. This company wants educated and eager young individuals to seriously consider the insurance industry and Argo in particular as the place to build dynamic and fulfilling careers. It’s an important message. In the coming years, this sector could face a significant shortage of talent as many people working in insurance will be ready to retire. Argo certainly isn’t the only firm worried about it. Companies across the entire insurance market face the same challenge. So Argo teamed up with the industry in the Insurance Careers Movement (ICM), a pan-company effort to show the world – and to show millennials especially – that they’ll find all sorts of career opportunities in the insurance sector. And last month, Argo ramped up its news feeds, social accounts and other media to get that message out loudly and clearly. The numbers are encouraging. On Twitter, the Insurance Career Movement’s two main hashtags – #CareerTrifecta and #TalentTuesday – were used 2,788 times, with 10.9 million impressions for February. The LinkedIn ICM Champions Group now has more than 750 members. And more than 850 companies participated in the Insurance Careers Movement all told. Argo did its part. Check the company’s News page and you’ll see all sorts of Generation-Y-focused content published over the last few weeks, including a short slideshow on why millennials should consider insurance careers, and an informative FAQ answering a range of questions about this industry. You’ll also find an infographic that blasts misconceptions about insurance, and quick posts on career benefits and the biggest insurance risks millennials might get to tackle. That’s not all. 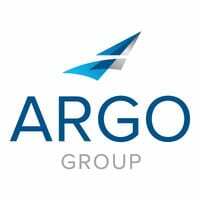 See @Argo_Group on Twitter, the Argo Group Facebook page and the company’s LinkedIn presence for messages that highlight insurance as dynamic, exciting and just about perfect for educated individuals who want fulfilling careers. Argo even shot a raft of YouTube videos featuring young adults honing their skills and executives describing what the future has in store for the sector. Insurance Careers Month 2017 is over. But Argo’s hunt for sharp, ambitious millennials continues. If you’re bright and motivated – and you’re looking for an exciting career – consider joining Argo Group. Visit the careers page to see where you might fit. The amount of existing data today is staggering. For the insurance industry, that can mean improvements in risk assessment for those taking risks and those bearing them.